If one of your radio systems start giving you problems it can be a total pain and hold up communication. Thankfully, there are a number of simple solutions for many radio problems you might be currently experiencing. 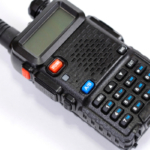 Managers often make a service call or purchase an entirely new radio, when there is a far more cost effective option. Before investing money sending radios off for repairs or ordering new batteries, there are a few simple solutions you can try out on your own. 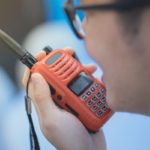 In this blog we detail the most common problems associated with two-way radios and how to address and fix them. If a radio isn’t working or holding a charge the issue might be incredibly simple to address. Rapid chargers take about one hour to fully charge, and overnight chargers take 12 hours to fully charge. Yet, if the radio is not properly situated into the charger it is not going to charge no matter how long it sits there. You might be surprised how many people assume a radio isn’t working, when the real issue has to do with the radio being incorrectly placed in the charger. This problem is so common because many overnight chargers do not indicate when they are charging or done charging. Have a fresh pair of eyes take a look at the current charging situation before sending your radios in for repair; you just might find the solution is simpler than you think. If you get new batteries or a new radio, you must charge them for a solid 12 hours. By doing this you ensure superior performance and the longest radio life possible. Even if you have a rapid charger, one-hour of charging time is not enough for brand new equipment. This problem is incredibly common, and often has to do with a device that has not been properly or fully charged. When you charge radios, make sure that they are turned off. If you leave the radio on while it is charging, chances are it will not charge. Charging a radio while it is on also destroys the battery so that it requires replacement much sooner. 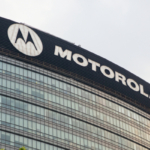 It is very common for office workers to leave their radios on the charger all day while they work, but the charger is not a stand, and should only be used to charge radios that are turned off and not in use. -The charger light blinks for 5+ minutes after the radio is placed on the charger. -After only a few minutes of charging a dead battery, the light turns green indicating the radio is fully charged. If the radio only beeps when it is tuned into a specific channel, this is not an indicator that anything is wrong with the actual radio. Instead, it simply signifies that the radio needs a frequency plugged into this channel. If you are experiencing technical difficulties with radio accessories the first thing to do is try out the same accessories on a different radio. If the accessory works, try once again to use it with the faulty radio, and make sure the accessories are fully plugged in. If the accessory continues to malfunction this is an indicator that the accessory jack on the radio is not working and needs to be sent in for repairs. If the audio accessory doesn’t work on any radios, you know that your issue has to do with the accessory and not the radios. Depending on how many radios you have in your fleet this can be a tricky problem that causes a lot of annoyance. Thankfully, there is a simple way to identify the radio culprit. You will need to run a basic transmit and receive test on each radio within your system to pinpoint the faulty radio. 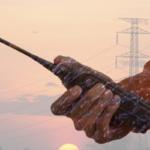 Highland Wireless provides fast, reliable technical services for all of your two-way radio needs. Contact us today for the help you need to get back on track communicating.